This phone looks like iphone 5S but is having features of iphone 6s. One of the most handy phone till date. 4. Time to time update. 1. Does not have Bluetooth. Brilliant phone. Amazing display with added features. * Screen size is small. Great specifications and the product is upto the expectations. Gets the latest update and gets easily into ones pocket. A little small in size and less battery backup. Has the same specifications as Iphone 6s. Quite good product with special features in it. Best part is that it has all the functions that a high price mobile has. Perfect mix of old design and new specifations. 23 Pricebaba users have written their experience with Apple iPhone SE 32GB. If you own Apple iPhone SE 32GB, please do leave your feedback too. This iPhone SE comes in a 32GB variant. It packs in more power than what everyone expected with some features that don’t even come on the iPhone 6. This includes live photos, 4K video recording and front facing flash (called Retina Flash). The SE is powered by the Apple A9 processor and 2GB RAM just like the iPhone 6s. The SE also has NFC for enabling Apple Pay. 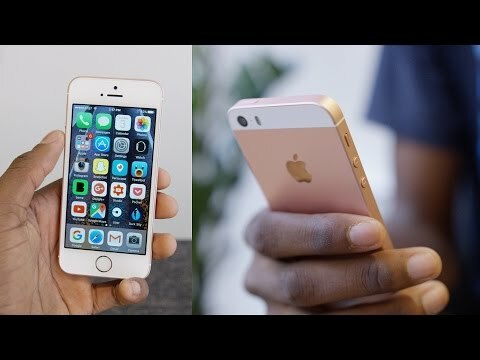 Apple iPhone SE would is a worthy upgrade for anyone using the iPhone 5 or 5S. Of course, budget remains a key deciding factor still. Ans: Like all iPhones, the battery of the iPhone SE is non-user removable too. Ans: Inside the box, you get an iPhone SE, a wall charger, a lighting cable for charging and data syncing and a pair of Apple Earpods.